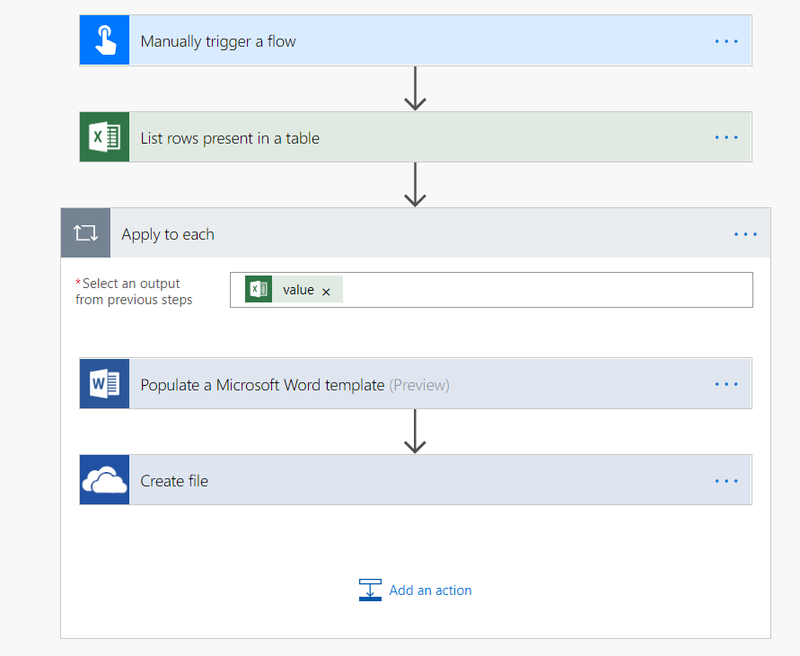 The new “Populate a Microsoft Word template” action in Flow that was released last week got me thinking: apart from the obvious mail-merge applications, this could be used to build reports in Word! Here’s a very simple example. This is only a very, very basic example of what’s possible: you could convert these documents to pdf, email them out as attachments, and even in the future get your source data direct from Power BI. 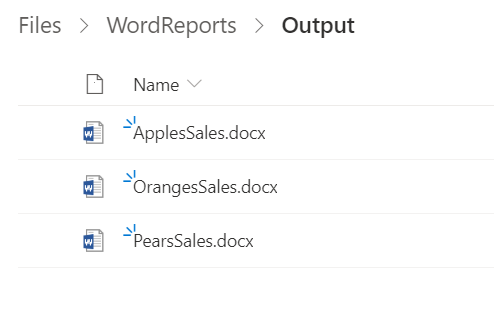 Why would you want to build reports in Word though? 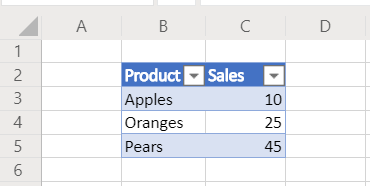 Some reports are very text heavy, and although you can do text substitution in Power BI (for example using the Enlighten Data Story visual), nothing does highly-formatted text as well as Word. OK, it’s not going to be something that you do very often – the vast majority of reports you build will be better off in Power BI, as paginated reports/SSRS, or in Excel – but there are definitely some use cases. The new Flow action is very limited right now but with support for more types of content control even more sophisticated reports will be possible using this technique. Thanks for this Chris – very handy. You may want to know that Word Online (Business) is a Premium Connector and therefore is only accessible through Flow Plan 1 (USD5.00/user/month) or Flow Plan 2 (USD15.00/user/month) but not through the Free plan or Flow for Office 365 plan. I’ll leave others to consider whether connecting to Word should have been made available as part of the Office 365 plans.